If you ask a Chennaite, where he wishes to take a short road trip in a weekend, then definitely most of them will prefer East Coast Road, popularly called ECR particularly for its scenic highway along the Bay of Bengal. But to me travelling in this road during weekend in a public transport is the first thing I would hate to do. I live in a place which is in between Chennai and Pondicherry and ECR is the shortest route through which one can travel to Chennai. ECR is loved by those who visit occasionally and detested by those who travel regularly either due to accidents which occur very frequently or due to the crowd in the bus. The condition during weekends will be worst and you have to hang in footboard and travel for more than an hour. If this is the condition during a weekend, one can understand the experience during Diwali where almost everyone prefers to go their hometown to spend time along with their loved one’s during the festival season. 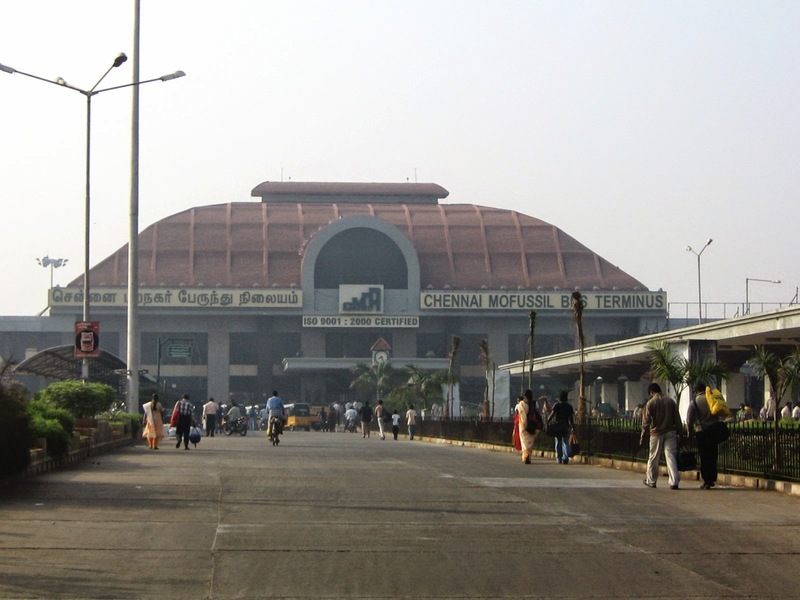 Koyambedu mofussil bus terminus, which is Asia’s second largest is the starting point for all outstation buses from Chennai. After this main depot, there are 6 other bus stops within Chennai. But the fact is that you will not get even a corner to stand if you miss to board the bus in Koyambedu. The problem for me is quite different, though all the buses have to stop in my locality; conductors usually don’t allow passengers other than those who take ticket to Pondicherry to board the bus before Thiruvanmiyur which is the last and final stop within Chennai. 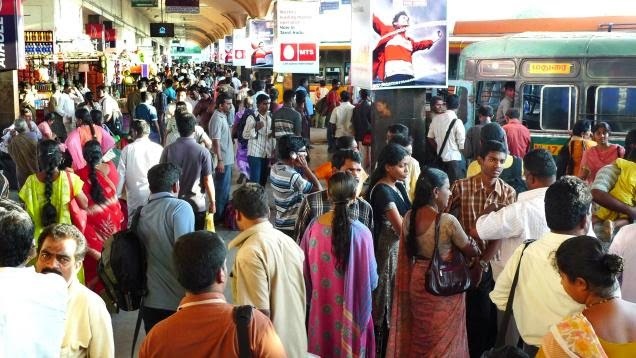 The main reason is passengers travelling to Pondicherry prefer to travel seated and conductors don’t want to lose even a single passenger due to unavailability of seats. Many a times complaints were lodged to State Transport Corporation regarding such harassment, but the problem continues even now. Conductors used to stand outside the bus before it starts and used to keep saying that only Pondicherry tickets has to get in. If someone ignores him , then they will be yelled in front of all passengers and as usual no co-passengers comes in rescue of you, after all they get a seat if you wake up. I went with my family for a last minute shopping during this Diwali and faced similar situation. We decided to turn back before 4PM to skip the crowd in the evening. But nothing goes as planned and we reached the bus stop only at 05.30PM. The bus stand was like a carnival and every bus which is to start a couple of hours later were full and people were standing inside not sad but happy that they got a place inside. Mine is a travel of an hour and half. No conductors allowed us to board and I was bit worried to board ignoring them. Passengers were quarrelling with drivers and conductors about why they were not allowed to board, just because they have to get down in between. Conductors were bothered about the revenue, giving my seat to one who travels to Pondicherry will get him double my charge. More the collection more is his bonus. We waited for more than 2 hours, but the crowd didn’t see to decrease. Finally I decided to take the vehicle ignoring the conductors and pretended initially to be someone travelling to the final destination, got a seat and didn’t say anything or responded to the conductor’s call before the bus started. The bus finally started and the conductor started to give tickets from the front. It took him more than half an hour to reach me, but the bus has not moved even to the second stop due to the heavy traffic. I also had a thought that he might ask me to get down in the next stop. I gave him money and asked two tickets to Kalpakkam which is my locality. He didn’t take the money, instead stared at me. He yelled whether I don’t understand Tamil or I had not heard what he said all time before the bus started. I could have lied and acted that my mother who travels with me is sick and I don’t have any other option. In fact, that was the advice given to me from a stranger which encouraged us to get into the bus. It is true that if I say that my mom is not well, the conductor may scream for some time and will give a seat at least to my mom, asking me to get up and give space to someone else who travels to Pondicherry. But I preferred to tell the actual scenario. I told him that I had been waiting in the bus stop for more than two hours, as there was no other option I got into the bus. 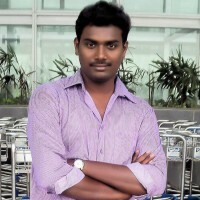 I also told him that it was my situation and if there is any target provided to the conductors by the transport corporation which is forcing them to do so, then I said that is fine for me to pay more and take Pondicherry ticket, even though I am going to get down in between. He had a smile and took the actual cost to my stop and moved to next passenger without saying anything. It is the truth which not just got me a seat, but an idea or solution to a long standing issue too. Repeated complaints to State transport corporation or grievance cell didn’t have any result. But just a voluntary acceptance to pay extra charge not just helped that day but is still giving a better result. No conductor will take the voluntary acceptance and give a long distance ticket; after all it is like digging his own graveyard.